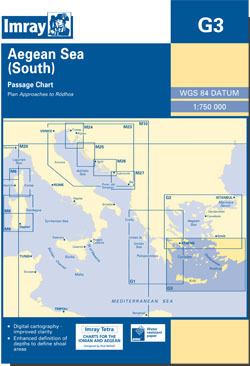 Passage chart of the lower part of the Aegean sea, from the latitude of Samos and Tinos down to Crete. Scale: 1 : 758,800. Larger scale plan of Limin Rodhou (Rhodes Harbour).